Yesterday and today I played City of Heroes for some hours. Â This game is the hobby that has suffered the most from my adventures into brainwave entrainment this spring. Â Sims 2 has continued much like before, except that I have switched to a Sim neighborhood that requires less attention. Â CoH, however, has gotten very little me time, despite the awesome new free expansion I wrote about. Perhaps the real reason is different: Â The peaceful everyday life of my Sims goes better with the serenity of meditation than the excitement, danger and violence simulated by the superhero game. As I grow older, it is natural to wonder why setting bullies on fire remains one of my greatest joys. In any case, I have spent some hours in CoH again. Â My return to the game was partly caused by reading that the prices of invention salvage were ridiculously high. Â People have been leveling so quickly in the new Architect missions, they were desperate to get enhancements suitable for their higher level. Â I rushed to meet the increased demand with my supply, but the prices soon started to drop. Clearly others have thought the same way. I also saw (and was invited to) several teams doing classic missions (not user-made), so the death of the classic content is clearly exaggerated. This is not to say that Â AE (the Architect building) is not packed, especially in the most populated servers, especially in the evening and night American time, and especially in Atlas Park (the most popular newbie zone). Â A good number of the people there are probably new players drawn in by the new feature, or people who have been away from the game for a while. Â The broadcast channel is full of people looking for AE teams at those times and places, mostly farm teams but some specifically non-farm. Â By farming we don’t mean raising livestock and pulling weeds, but rather doing missions repeatedly for profit (experience points, influence and tickets) rather than for their story content. Â This is a long-standing practice in all massive online roleplaying games, but has become even more profitable with some of the user-made missions. 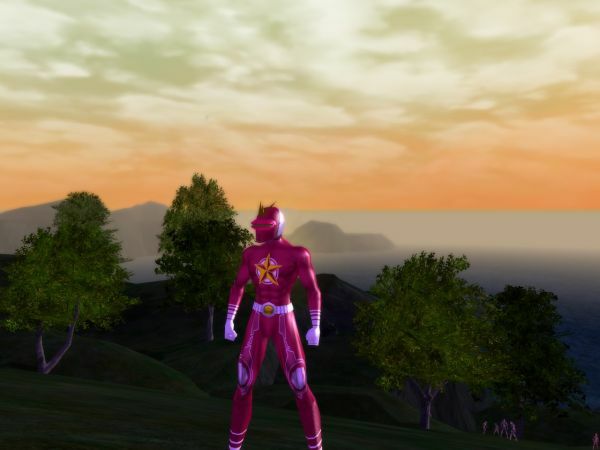 This entry was posted in games, slice of life and tagged City of Heroes by itlandm. Bookmark the permalink.